Scion Bumper & Lip. 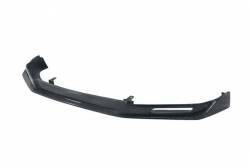 Aftermarket Bumper & Lip for Scion FRS, tC, xA, xB & xD. Choose from Scion Bumper & Lip by ABS Dynamics, AIT Racing, Carbon Creations, Extreme Dimensions, VIS Racing & Seibon. Available in Front and/or Rear Bumpers & Lips. 13+ Scion FRS Carbon Fiber Hood. OEM and Vented Carbon Fiber Hoods for Scion FRS. Choose from CF Hoods by AIT Racing, Carbon Creations, VIS Racing, Seibon & More. FRS Carbon Fiber Hoods are made of Grade AA Carbon Fiber w/ great fitment. 13+ Scion FRS Carbon Fiber Roof Replacement. Carbon Fiber Roof for Scion FRS by Seibon Carbon. 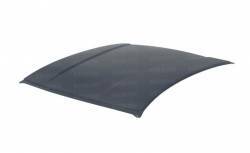 FRS Carbon Fiber Roof available in Wet or Dry Carbon Fiber. Made of Grade AA Carbon Fiber, w/ excellent Weave Pattern, Fitment & Clear Coat. 13+ Scion FRS Fenders. Carbon Fiber or Fiberglass Fenders for Scion FRS. Choose from Carbon Creations, Extreme Dimensions, Seibon & VIS Racing. FRS Fenders are sold as a Pair (Left & Right) and feature good fitment and clean look. 13+ Scion FRS Hood. Carbon Fiber or Fiberglass Hood for Scion FRS. OEM or Vented Aftermarket Hoods by AIT Racing, Carbon Creations, Extreme Dimensions, Seibon & VIS Racing. FRS Hoods are lightweight, fully functional and show quality. 13+ Scion FRS Rear Spoiler. Rear Spoiler for Scion FRS. Choose from Rear Spoilers by AIT Racing, Carbon Creations, Extreme Dimensions, Seibon & VIS Racing. 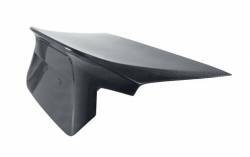 OEM or Aftermarket FRS Rear Spoiler in both Fiberglass and Carbon Fiber Material. 13+ Scion FRS Trunk. Fiberglass or Carbon Fiber Trunk for Scion FRS. Choose from AIT Racing, Carbon Creations, Seibon or VIS Racing Rear Trunk Lids. FRS Trunk Lids are available in both OEM or Aftermarket Styles to suit your preference. Scion Racing Seats & Accessories. Aftermarket Racing Seats & Accessories for Scion FRS, iQ, tC, xA, xB & xD. Choose from NRG Innovations, Weapon R, Corbeau, Bride, Wedge & More. Set off your interior with Scion Racing Seats & Accessories. Scion Side Skirts. 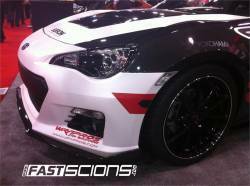 Aftermarket Side Skirts for Scion FRS, tC, xA, xB & xD. Choose from Scion Side Skirts by ABS Dynamics, AIT Racing, Carbon Creations, Extreme Dimensions, VIS Racing & Seibon. Available in OEM or Aftermarket Styles. 11-15 Scion tC Carbon Fiber Fenders. 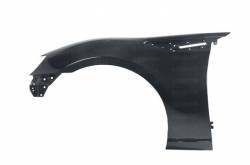 CF Fenders for Scion tC2. Choose from tC Carbon Fenders by Carbon Creations or Seibon International. Scion tC2 Carbon Fiber Fenders are much lighter than OEM and provide an unmatched show quality look. 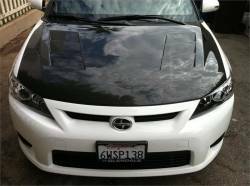 11-15 Scion tC Carbon Fiber Hood. Carbon Fiber Hood for Scion tC2. Choose from OEM or Vented tC2 Carbon Fiber Hoods by Carbon Creations, Seibon, VIS Racing & More. Save some weight and get show quality look and functionality with tC2 CF Hood. 11-15 Scion tC Carbon Fiber Lip. 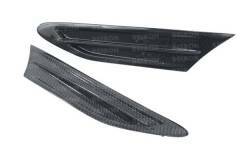 Front & Rear Carbon Fiber Lip for Scion tC2. Choose from Carbon Creations, Seibon & VIS Racing CF Lips! tC2 Carbon Fiber Lip provides a more aggressive look while flashing that show quality Carbon Fiber. 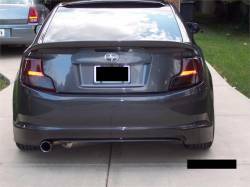 11-15 Scion tC Carbon Fiber Side Skirts. CF Side Skirts for Scion tC2 by Carbon Creations & Seibon. 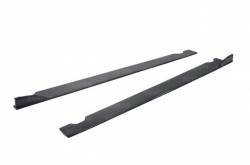 tC2 Carbon Fiber Side Skirts are sold as a Pair (Left & Right). Provides show quality look and matches Carbon Fiber Front & Rear Lips as well. Scion Window Visors. 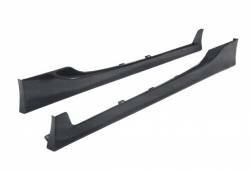 Side Window Deflectors for Scion FRS, tC, xA, xB & xD. Choose from Scion Window Visors by ABS Dynamics, AVS & Weathertech. Scion Side Window Deflectors available in 3M Double Side Tape and In-Channel Options. 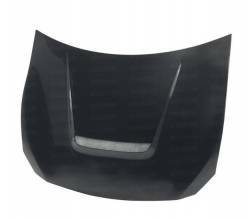 04-06 Scion xB Carbon Fiber Hood. 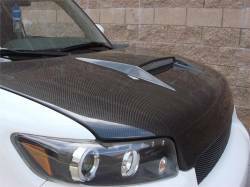 Carbon Fiber Hood for Scion xB. Choose from OEM or Vented xB Carbon Fiber Hoods by AIT Racing, ABS Dynamics, Carbon Creations, Seibon, VIS Racing & More. Save some weight and get show quality looks. 04-06 Scion xB Hood. 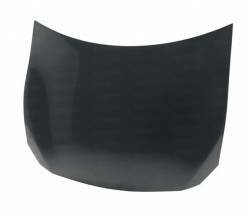 Carbon Fiber or Fiberglass Hood for Scion xB. 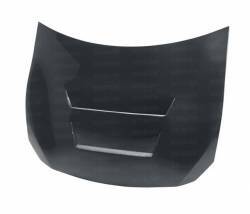 Choose from OEM or Vented Aftermarket xB Hoods. Scion xA Hoods by Carbon Creations, Extreme Dimensions, VIS Racing & Seibon Carbon are available and shipping now. 08+ Scion xB Carbon Fiber Hood. CF Hood for Scion xB2. Choose from OEM or Vented xB2 Carbon Fiber Hoods by AIT Racing, Carbon Creations, VIS Racing & Seibon Carbon. 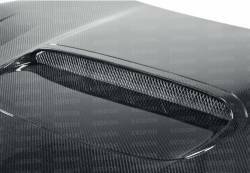 Aftermarket Carbon Fiber Hoods from FastScions feature Grade AA CF. 08+ Scion xB Hood. Aftermarket Hood for Scion xB2. 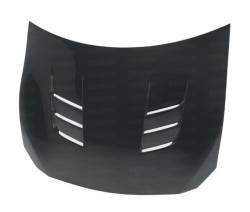 Choose from OEM or Vented xB2 Hoods from FastScions. Available in both Carbon Fiber and Fiberglass, our xB2 Hoods are made with high quality material and feature excellent fitment. 08+ Scion xB Trunk. 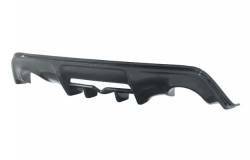 Aftermarket Trunk Lid for Scion xB2. 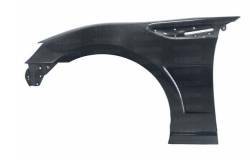 Choose from Carbon Fiber or Fiberglass Trunks for 08-15 Scion xB2. 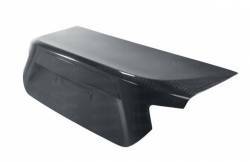 Lightweight with Great Fitment, our aftermarket Trunk Lid selection for Scion xB2 is top of the line. Good in stock! Description: Seibon CSL Carbon Fiber Trunk for the 13-16 Scion FR-S; 17-18 Toyota 86; 13-18 Subaru BRZ TL1213SCNFRS-C. Seibon Carbon Fiber Trunks are made of Grade AA Carbon Fiber. 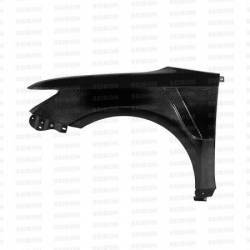 Description: Seibon Carbon Fiber DV Hood for the 08-15 Scion xB xB2 HD0809SCNXB-DV. 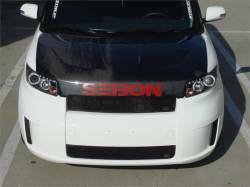 Seibon Carbon, a division of Seibon International, Inc., specializes in the design and manufacture of high-quality carbon fiber automotive components for your xB2! 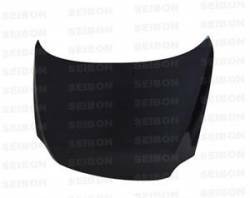 Description: Seibon FA Carbon Fiber Hood for the 13-16 Scion FR-S; 17-18 Toyota 86; 13-18 Subaru BRZ HD1213SCNFRS-FA. Seibon FA Carbon Fiber Hoods now available from FastScions. 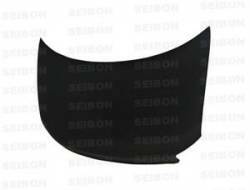 Seibon Carbon Fiber Hoods are made of Grade AA Carbon Fiber. 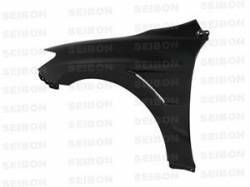 Description: Seibon KC Carbon Fiber Rear Lip for the 13-16 Scion FR-S; 17-18 Toyota 86; 13-18 Subaru BRZ RL1213SBBRZ-KC. Seibon has released 2 different Carbon Fiber Rear Lips. Choose from the KC or TB Style Seibon Carbon Fiber Front Lips. 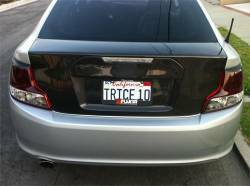 Description: Seibon Carbon Fiber Hatch / Trunk for the 05-10 Scion tC TL0506SCNTC. Seibon Carbon Fiber OEM Hatch / Trunk Sold Here. Must swap or replace rear glass as well as replace hatch shocks with lower psi ones also sold at FastScions! Description: Seibon OEM Carbon Fiber Hatch / Trunk for the 11-13 Scion tC2 TL1112SCNTC. 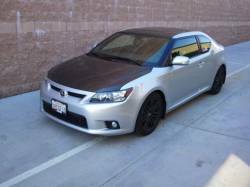 The First Carbon Fiber Hatch available for the Scion tC. 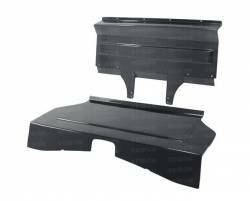 Seibon has released an OEM style Hatch / Trunk that fits perfectly and is definitely the best quality! 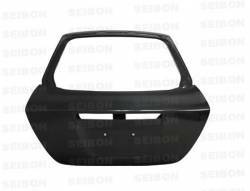 Description: Seibon Carbon Fiber Rear Hatch / Trunk OEM for the 08-15 Scion xB (xB2) TL0809SCNXB. Seibon Carbon, a division of Seibon International, Inc., specializes in the design and manufacture of high-quality carbon fiber auto components! 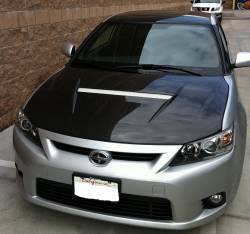 Description: Seibon OEM Style Carbon Fiber Hood for the 05-10 Scion tC HD0506SCNTC-OE. 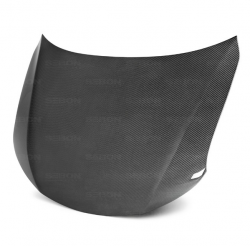 Seibon Carbon, a division of Seibon International, Inc., specializes in the design and manufacture of high-quality carbon fiber automotive body components!! Description: Seibon OEM Carbon Fiber Trunk for the 13-16 Scion FR-S; 17-18 Toyota 86; 13-18 Subaru BRZ TL1213SCNFRS. Seibon Carbon Fiber Trunks are made of Grade AA Carbon Fiber and are available in Wet (Glossy) Carbon Finishes. Description: Seibon TR Carbon Fiber Front Lip for the 11-13 Scion tC (tc2) FL1112SCNTC-TR. The newest addition to the Seibon Line of Carbon Fiber Parts for the Scion tC2. Seibon Carbon Fiber Front Lip for the Scion tC2 is a direct bolt on upgrade!! Description: Seibon TR Carbon Fiber Rear Lip for the 11-13 Scion tC (tc2) RL1112SCNTC-TR. 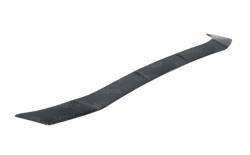 The newest addition to the Seibon Line of Carbon Fiber Parts for the Scion tC2. Seibon Carbon Fiber Rear Lip for the Scion tC2 is a direct bolt on upgrade!! 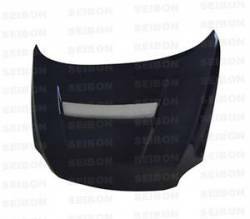 Description: Seibon TS Carbon Fiber Hood for the 13-16 Scion FR-S; 17-18 Toyota 86; 13-18 Subaru BRZ HD1213SCNFRS-TS. 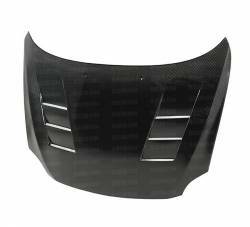 Seibon TS Carbon Fiber Hoods now available from FastScions. 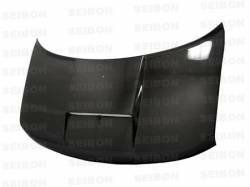 Seibon Carbon Fiber Hoods are made of Grade AA Carbon Fiber. Description: Seibon VS Carbon Fiber Hood for the 13-16 Scion FR-S; 17-18 Toyota 86; 13-18 Subaru BRZ HD1213SCNFRS-VS. Seibon VS Carbon Fiber Hoods now available from FastScions. Seibon Carbon Fiber Hoods.